Safe Haven laws save lives. 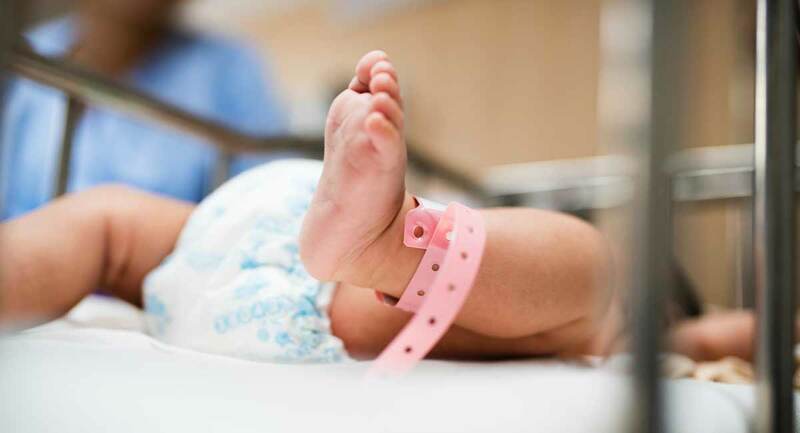 Heartbreaking stories occasionally make headlines, of newborn infants abandoned and left to die — in bathrooms, in garbage cans, in sewers — because desperate mothers felt they had no other choice. But in Florida, one baby is still alive after a mother took advantage of the state’s safe haven law. A mother approached a fire station in Davie, Florida, with her hours-old baby wrapped in a towel. The baby, a girl, weighed about six pounds and is said to be in good condition. The little girl will be placed for adoption, and the mother was able to safely surrender her baby and remain anonymous, with no questions asked and no repercussions. Battalion Chief Daniel Moran praised her for choosing to safely surrender her baby, saying that “moms in crisis should know it’s completely anonymous and in the best interests of the child” to bring newborns to authorities if they aren’t able to take care of them. In Florida, mothers can bring their newborn to any hospital, emergency medical service station, or fire station, and surrender custody to any emergency medical technician, paramedic, or firefighter, and remain anonymous without any charges filed. The baby will then be taken to the hospital to receive medical care, and will be placed for adoption. Any medical problems needing treatment will be covered, as the state assumes the baby is eligible for Medicaid, and therefore will receive coverage. The baby will not be deemed as “abandoned,” as this would open the mother to investigation. The Safe Haven Law, also called the Baby Moses Law in some states, is in effect in all 50 states and the District of Columbia. The law is in place to protect all parties involved. In most states, a woman has 30 days after birth to safely surrender the child at any fire station, police station, or hospital with no questions asked. In some of these states, the girl gets free medical care to assist with the birth of the child or any complications resulting from the birth. This law is a win-win situation for all parties involved. The mother walks away with zero chance of prosecution, while the baby has the opportunity to be adopted into a loving home, and a family open their hearts and home to the child for whom they’ve prayed. … As a firefighter/medic for the state of Indiana and in light of the fact that I was abandoned as a child, I feel a personal need to educate our youth and our communities about this life-saving law. In a perfect world, we would prefer that the mother come forward, visit a local crisis pregnancy center, and receive the assistance and counseling she needs. However, this may not be possible in all situations. With these cases, we want young women to know that the Safe Haven Law is there as an option that respects the lives of both mother and child. Women who take advantage of safe haven laws or baby boxes are to be applauded, not condemned. Rather than leaving their baby to die, a tragedy which has unfolded countless times across the country, these mothers choose instead to save their babies’ lives, even though it means making what is likely the most difficult, heart-wrenching choice they’ll ever have to make. It’s a sad reality that women who are pregnant and parenting still face systemic societal injustices, and until that changes, safe haven laws are a way for scared, desperate moms to choose life — for themselves, and their children.